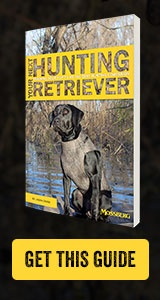 Mossberg New for 2019 | O.F. 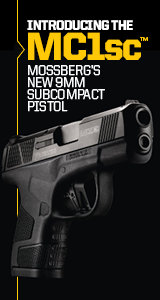 Mossberg & Sons, Inc.
See Mossberg’s New Firearms for 2019. Since 1919 O.F. 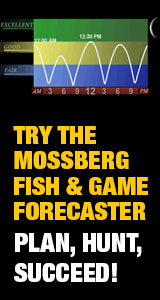 Mossberg & Sons has delivered the greatest value and the ultimate shooting experience for our customers. 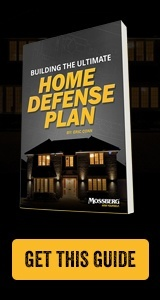 The oldest family-owned and operated firearms company in America, Mossberg combines quality manufacturing, uncompromising reliability and a commitment to innovation to produce hard-working guns, prized by millions worldwide. In 2019 we will continue this tradition by adding exciting new products to our extensive line-up of rifles and shotguns. 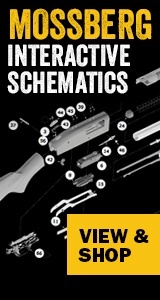 *Click the “models” tab, to see all the new firearms for 2019. Barrel Length: 18.5" Length: 36.37"
Barrel Length: 26"/24" Length: 46.5"/ 44.5"
Barrel Length: 28"/24" Length: 48.5"/ 44.5"
Barrel Length: 18.5" Length: 39.5"
Barrel Length: 26" Length: 45.75"
Barrel Length: 18.5" Length: 36.875"
Barrel Length: 18.5" Length: 30.75"
Barrel Length: 14.375" Length: 26.37"
Barrel Length: 28", 24" Length: 48.25", 44.25"
Barrel Length: 20" Length: 37"
Barrel Length: 18.5" Length: 37"
Barrel Length: 22" Length: 42"
Barrel Length: 22"/24" Length: 34.75"/36.75"
Barrel Length: 3.40" Length: 6.25"
Barrel Length: 18" Length: 35.75"
Barrel Length: 18" Length: 37"
Barrel Length: 18" Length: 35"
Barrel Length: 21" Length: 40"
Barrel Length: 24" Length: 44.75"
Barrel Length: 16.25" Length: 36.5"
Barrel Length: 22" Length: 42.25"
Barrel Length: 20" Length: 40.25"
Barrel Length: 22" Length: 42.75"
Barrel Length: 20" Length: 38.5"
Barrel Length: 20" Length: 38.62"
Barrel Length: 20" Length: 40.5"